Just a very quick post – there’s just a few weeks left until this years HCC Scholarship application deadline. As one of the 2011 recipients, I can’t stress enough how beneficial it’s been to the business. 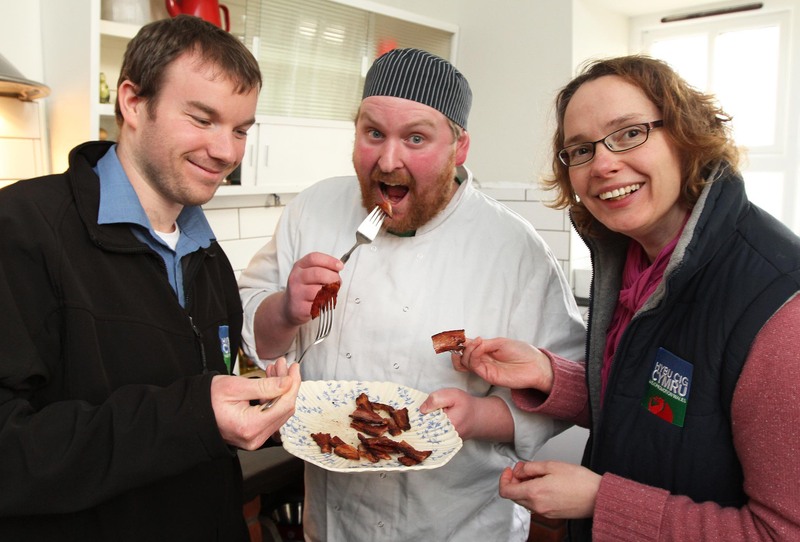 So if you’re a farmer or processor looking to do a study trip abroad – apply now! (I’m the one in the middle by the way). Another of the 2011 scholars is Mair Morgan, she’s been blogging too about her trip to Australia and New Zealand – check it out! So the mass charcuterie tour has come to an end, and I’m back home. It’s been an exciting couple of weeks, and I’ll be eternally grateful to Hybu Cig Cymru/Meat Promotion Wales for allowing me to undertake this trip. I’ve learnt so much, and over the coming months I’ll be doing a series of talks based on those lessons learnt. I’ll post any details on here should anyone fancy coming along. If you know of a group of young farmers, pork producers or a group of people interested in understanding how their food is produced, drop me an e-mail and I’d be happy to arrange a little talk. The jet lag has hit pretty hard, and at three this morning I was wide awake, I got a couple of hours of work in this morning before returning to bed after six. Sadly, I then slept in and our pigs were late being fed. They’re looking good though, they’ve foraged for so much acorns that they’re a bit sniffy now about the barley I give them! They’re growing each day, and their curly winter coat is growing like a Mohican across their back bone. I’m hugely grateful to all who I spoke to on the trip, there are far too many to name individually. I was impressed by the honesty that everyone spoke with, and I’m privileged to have had the access that I did to learn about feeding regimes, slaughtering processes, delivery and distribution methods, processing methods, plant layout, as well as packaging, retail and marketing. Thank you. Now it’s time for me to put the wheels in motion and get some product of my own made. A couple of weeks back I had a brief chat with Eric from Chop at the PSU Farmers Market (there’s a blurry pic of him at the bottom of this post), he suggested I call round to see his stores, so once I’d finished at KitchenCru I headed over to the City Market. I introduced myself to co-owner Paula who cut a few slices of coppa for me. I was interested in trying more of their products as I’d bought an incredible chicken liver and bourbon mousse at the PSU FM which I’d gobbled for breakfast one morning with some artisan bread. The setting for the store is really quite lovely. Five or six businesses share a common space and provide an incredible array of quality produce (there’s Chop supplying meat, a fishmonger, green grocer, pasta maker, wine merchant), it’s like a high end supermarket (and for those who remember it, it had the feel of the old food hall at Howells department store in Cardiff). Chop are the fourth(I hope I’ve got that right) caretakers of the meat stall at the City Market, and I’ve used the word caretaker as it seems the store has passed on both its recipes and its customers from one owner to the next, it makes for great provenance. Like I’ve mentioned of so many other stores, design, marketing and presentation is everything. 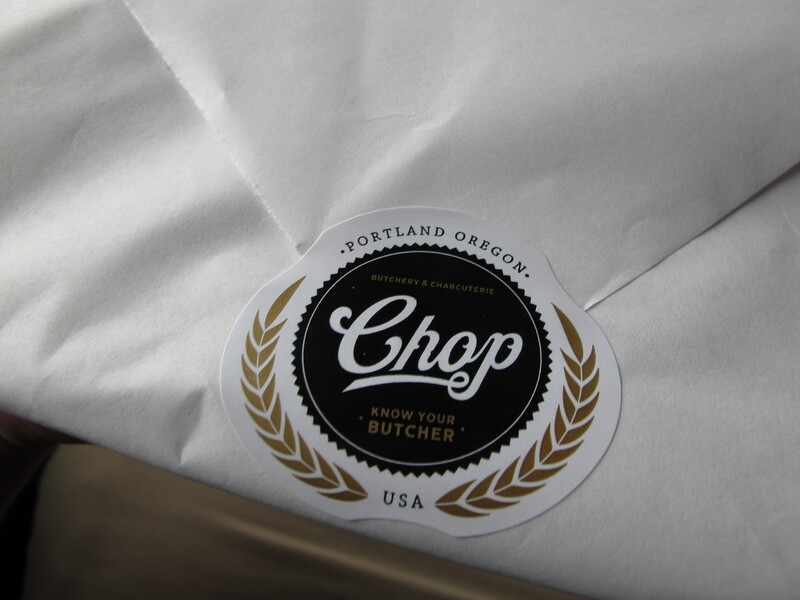 Chop have a wonderful, bold honest feel to their brand – and when I met with Eric later I could understand how reflective the brand was of his values. I headed across town to Chop’s second store at The Hub, I didn’t have much time to wander, but the Hub appears to be a building made up of an amalgam of food businesses. 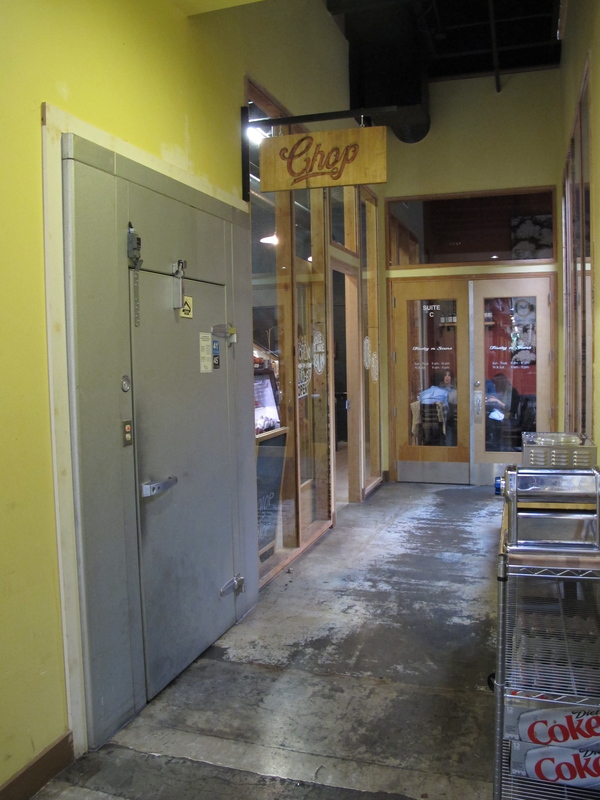 Chop is tucked away in a back corridor next to a bustling eatery called Tasty n Sons. 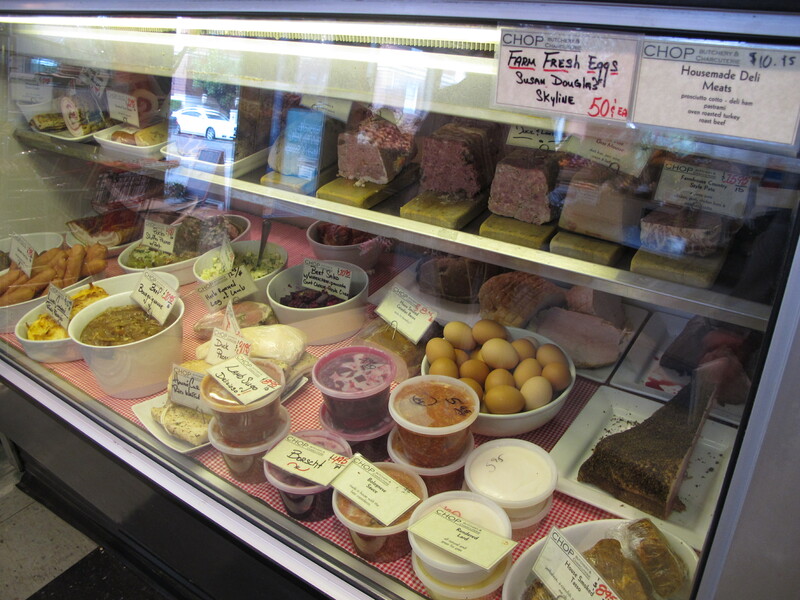 The store again was impeccable but with a greater bias towards charcuterie and sandwiches. I enquired whether Eric was in, and was kindly invited into his realm at the back of the store. Here they have their USDA approved salami production facility and you can see the salami’s drying in the ageing room through a glass window in the store itself. Like the Link Lab facility I’d visited in Seattle, the space was an excellent exercise in minimalist design – the space was utilised to its fullest and there was nothing to clutter the space other than the tools needed for the job – I can learn a lot from Eric! I had the full tour of the facility and we spent the best part of an hour chatting. We share some common values when it comes to producing good, honest, simple food. It was good to talk breeds too with a butcher, more often than not breed is dismissed – there’s an obvious difference between undeveloped breeds like the Mangalitza and modern breeds but there are also subtle differences between developed breeds which share many similar characteristics. I was pleased to hear praise for the Mangalitza, which they’ve sourced from Heath Putnam. Feed, husbandry and slaughter conditions are all equally valid when it comes to meat quality but breed is often dismissed unless something specific such as a Mangalitza is being used (sorry for keeping on about them, but I’ve got to publicise my pigs!). Having missed owner Michael Madigan on my initial visit to Kitchen Cru he extended an invitation for me to call in for a quick chat on my return North. As I stepped into the kitchen, the first person I saw was Mark from Tails and Trotters who I’d met two weeks previously at the PSU Farmers Market. He was busy at work trimming some cuts, he gave me a tour of their produce, and showed me a monster pancetta which was ageing. 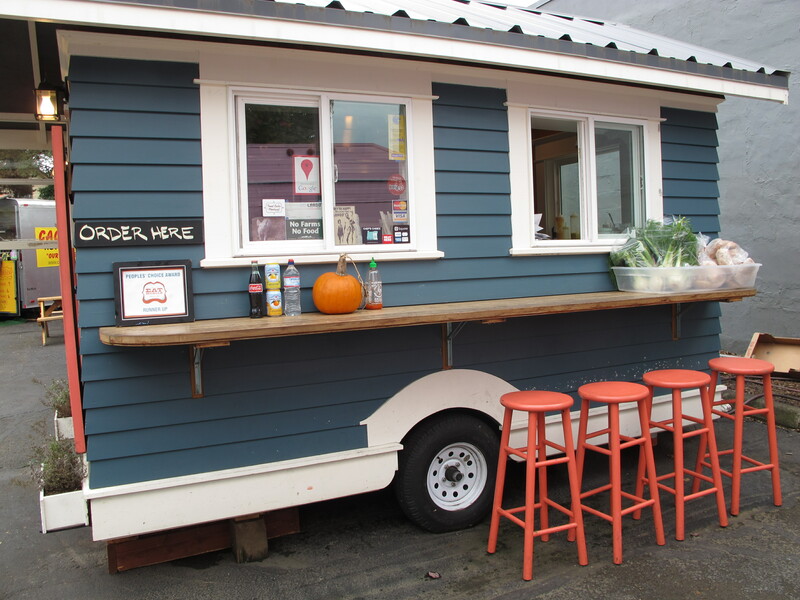 Michael gave me a great insight into the Portland food scene – and a little background. When he moved to the area some 20+ years ago, the farm to fork culture was in its infancy. A handful of quality restaurants were breaking through, and young chefs who passed through those kitchens moved on to start a movement of their own. Bit by bit Portland’s name as a foodie capital grew to what it is today. Michael introduced me to one of his clients: Sara from Pieku, I’d tasted some of her treats a few weeks back at Salt and Straw. She uses lard rendered by Tails and Trotters at the same facility for her pie crusts – a perfect example of collaborative working. I think there’s a real need back in the UK for facilities like KitchenCru. Not only do they provide a space for producers to work but they also facilitate a space to grow a food community. I currently use the services of the Food Centre Wales for my production development and processing, KitchenCru fits a different niche – in the context of meat production it’s more about direct sales, starting small, selling at farmers markets and providing a space to start a business. It also provides those with no experience of the food industry with an introduction, people like me, struggling in the dark slightly 12 months ago! I’ll be passing on Michael’s details to some of the bods back home (you know who you are King of Agri Food), fingers crossed we can get something going, and if not perhaps further down the line I might think of establishing something similar myself. Final day on the 101 before heading back inland to Portland. The road weaves its way in and out from the coast, it’s a mix of beaches, rocky cliffs, coastal forest and the odd small town with a huge steel bridge crossing an estuary. Before dusk I reached my final coastal town of the day – Cannon Beach. As I’m sure you’ve gathered by now, I’m quite the film geek. 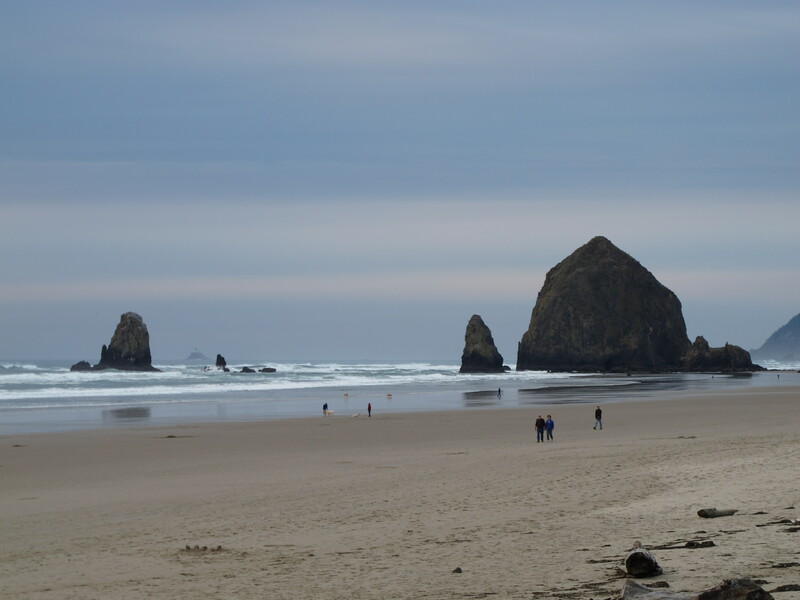 Cannon Beach (and Astoria further North) have a special spot in my heart, they both provided locations for one of my favourite childhood films The Goonies. I donned my coat for the first time on the trip and stopped for a quick walk on the beach. 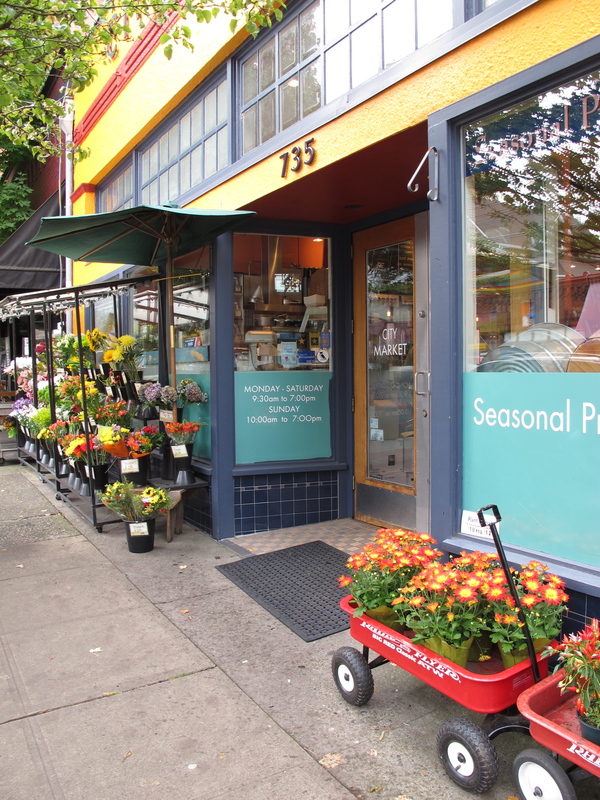 Heading inland towards Portland I spotted a pretty produce store, I did a quick u-turn and returned. 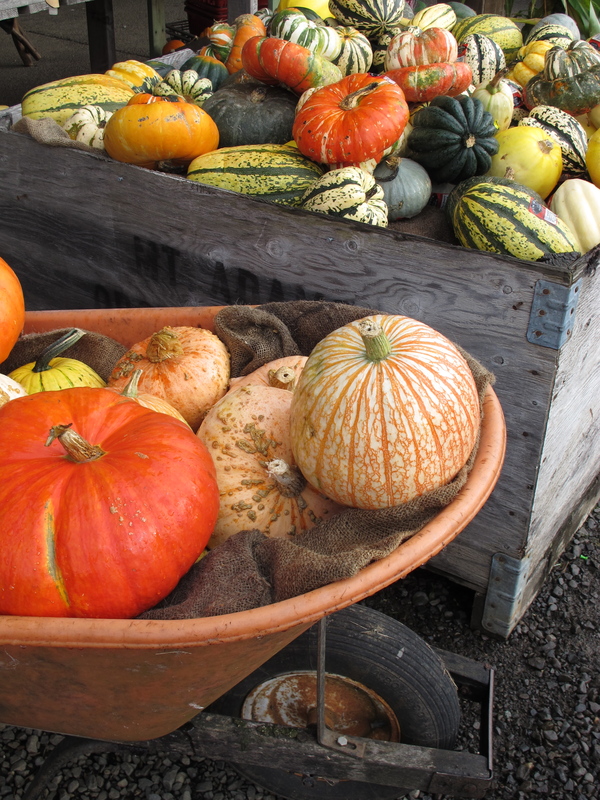 The place epitomised autumnal America for me, bright orange pumpkins, squashes of all shapes and sizes, big juicy apples and pears and dried coloured Indian corn. Basically, the Autumn edition of a Martha Stewart magazine. 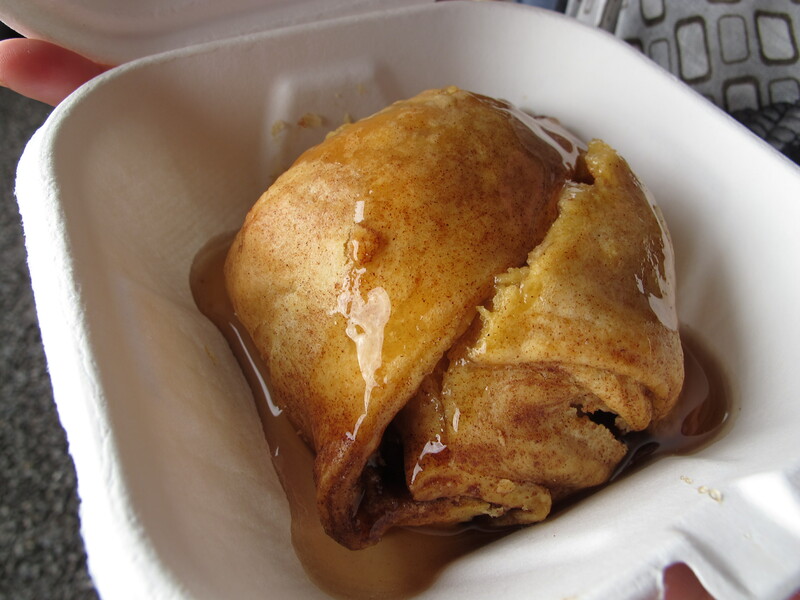 The pièce de résistance for me though was their warm apple dumplings, a whole baked apple surrounded in the most deliciously buttery sweet cinammony pastry and topped with a sugary glaze. I was in heaven, and it took a great deal of resolve not to go back for a second helping. My second day on Highway 101 and I get my first glimpse of the stunning North Californian coastline. 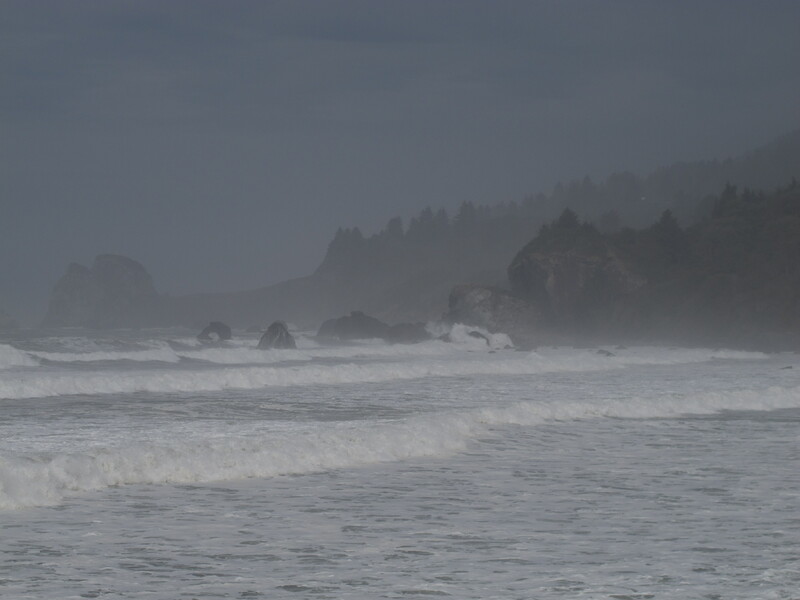 Dark sand, huge boulders and crashing waves. Having worked the Pembrokeshire coastline for years looking for film locations I know what gems we have at home. These beaches are completely different, our wild Atlantic coast, though windswept is lush and green with a colourful mix of flora and fauna, the coastline here gives you a thump in the stomach and tells you who’s boss, huge waves and the constant deafening roar of the sea. 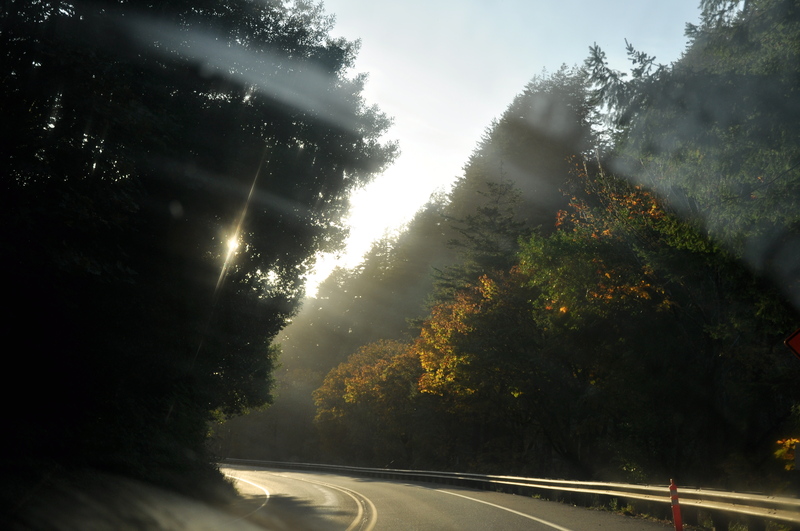 Next stop was a roadside tourist attraction – The Trees of Mystery. 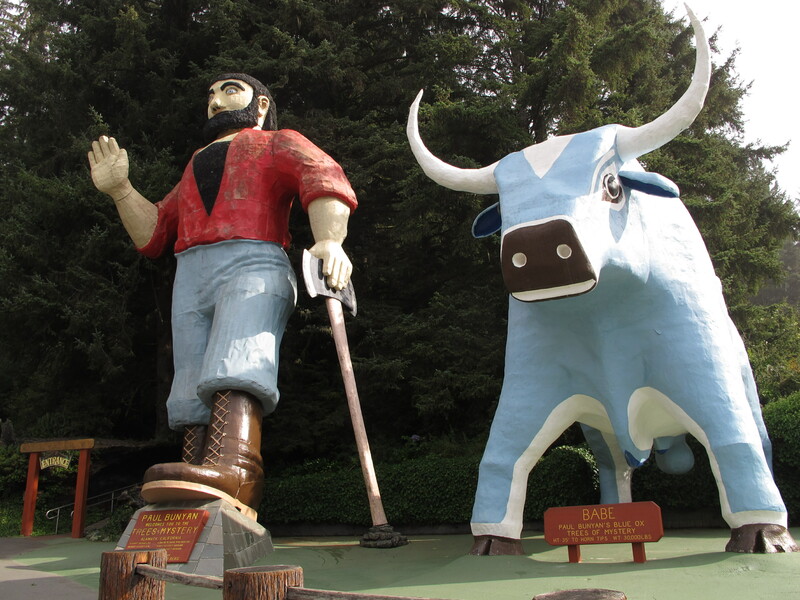 I’d stopped specifically to say hello to Paul Bunyan and Babe. In the car park there are two 35ft + statues of the two American folklore characters. Bunyan was said to be a giant lumberjack of incredible skill who was often accompanied on his travels by his companion Babe, the Blue Ox. I’d happily make a home for these two in my back garden. The Trees of Mystery are also home to a Native American Museum. They had cases packed with artefacts from tribes across North America. 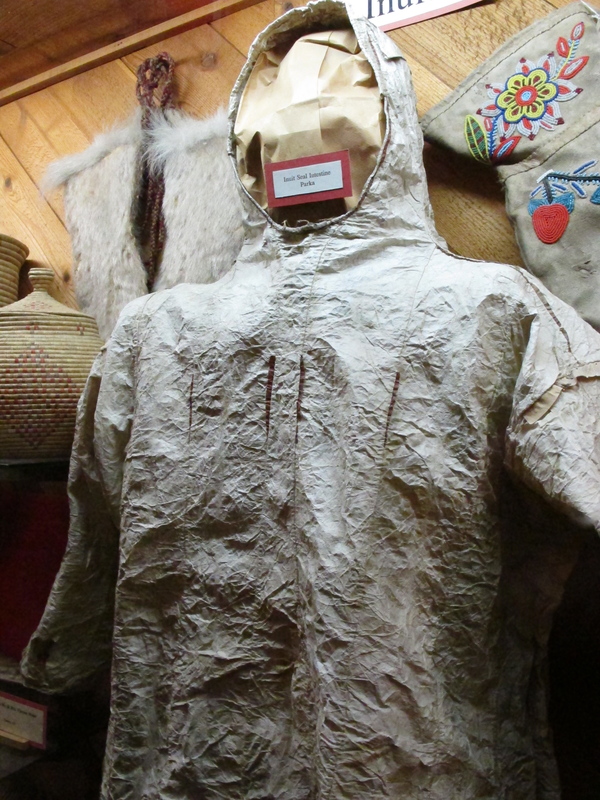 One thing in particular caught my eye – an intricately sewn parka made from seal intestine. 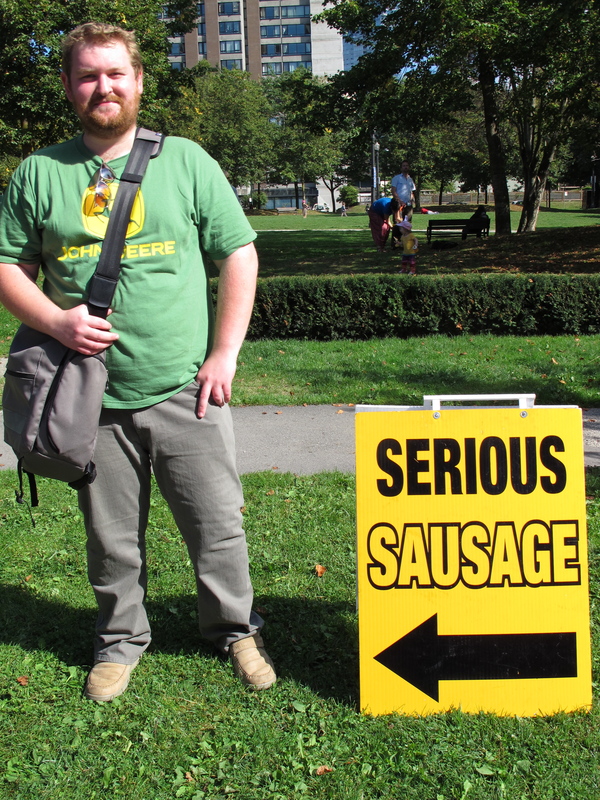 I wonder if I could make a pork intestine coat? 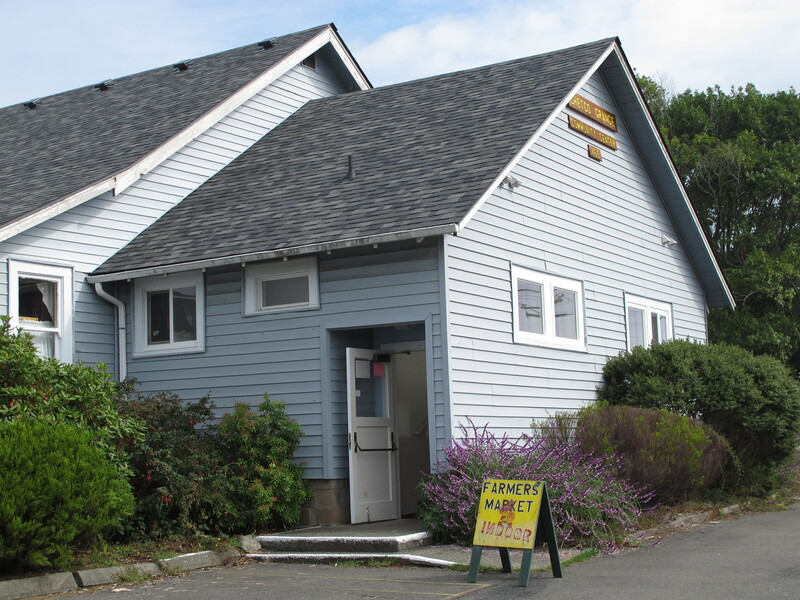 As I crossed the Oregon border, I stopped at my first indoor farmers market in the town of Brookings. There were five or six stalls outdoors selling fruit and vegetables and another six or so indoors selling local crafts, soaps and home baked goods. It reminded me of some of the small country markets at home. After buying some sugar free carrot cake I wandered across the road to an antiques mall. If I had unlimited baggage allowance half the store would have come back with me, however as I need to stick to my 20kgs I only bought two drawings. They come from the collection of Film Producer/Dirtector/Editor Elmo Williams. While working in England, any visitor to his office would be asked to draw a picture of a pig while blindfolded. Amongst the drawings on the wall were ones by Peter Sellers and Britt Ekland, I settled for some more modest priced ones by cartoonist Jack Davis and actress and author Helen Palmer Geisel (who was also the first wife of Dr. Seuss). The drawings are all wrapped up, so sadly there’s no picture to show you for now. Heading north, just before twilight I stopped at the Prehistoric Gardens. There are two animals that I absolutely love (in addition to pigs, obviously) – bears, and dinosaurs. The roads all along the coast are scattered with bear carvings, emblems, posters and all manner of depiction’s, so I’d had plenty of sightings to settle my appetite. Dinosaurs however were few and far between. 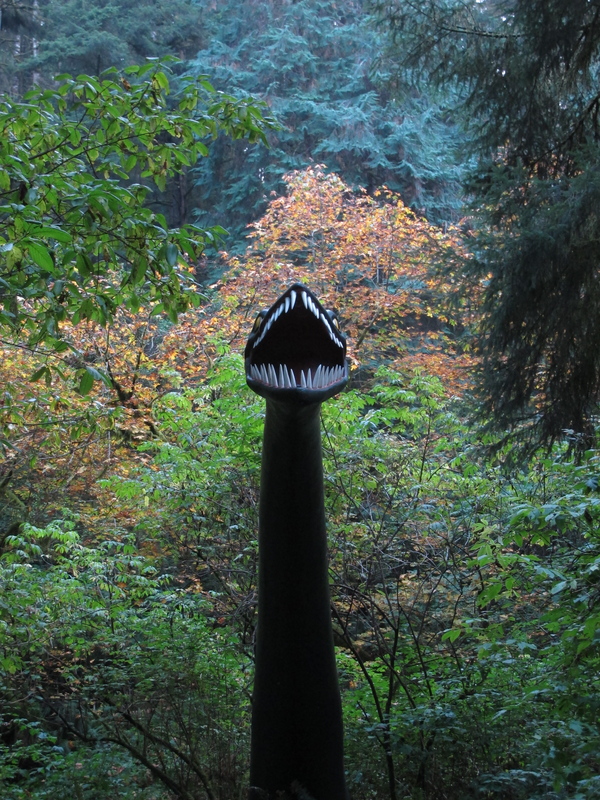 The Prehistoric Gardens have been open to the public since 1955, 23 large dinosaur models are set within mature temperate rainforest. Considering it borders the highway, it’s a peaceful stroll through some beautiful woodland (with AWESOME dinos). 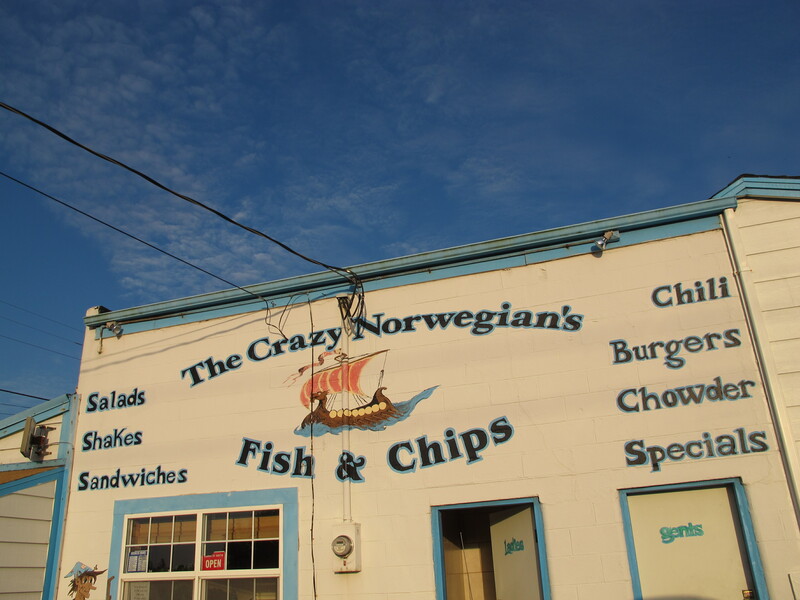 Final stop of the day was a spot of Fish & Chips, American style (via Norway). It was good to have a taste of home, though I’m reaching the point in the trip when I can nearly count on one hand how many days I have left.